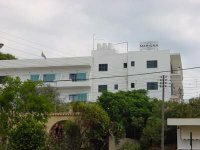 The Hotel Marigna is situated at Los Molinos hill in Figueretas, close to Ibiza Town. The hotel is near restaurants, banks, supermarkets etc. Gay friendly.